For organizations that need to track commissions, royalties and similar payables based on orders or invoices, BluSynergy's commission enhancements can now handle the capture, accrual, and (optionally) the disbursement of these payables. Commissions can be percentage based or they could be a fixed amount for a plan or a combination of the 2. If a group of people (eg. All senior level managers) fall under the same commission structure (eg. receive 5%), then they can use a shared plan. The system tracks commissions and you can access reports associated with commissions. 1. Under the Plans and Products tab, select the Create a Plan tab, in the Edit Plan page, select Commissions for Plan Type. 2. 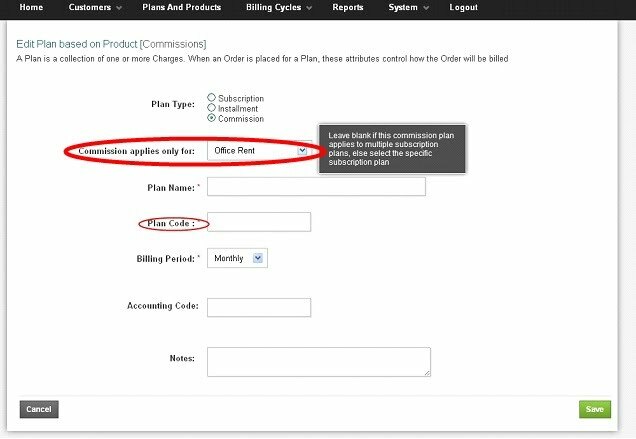 From the drop down menu, choose the subscription plan that the commission needs to be applied to.If the Commission applies to multiple plans, then the Plan Code is entered when you are setting up the Sales Agent. This way the Commission is associated with the sales agent and the commission can be accurately appropriated. 3. Next, you would create a charge for the Commission plan. 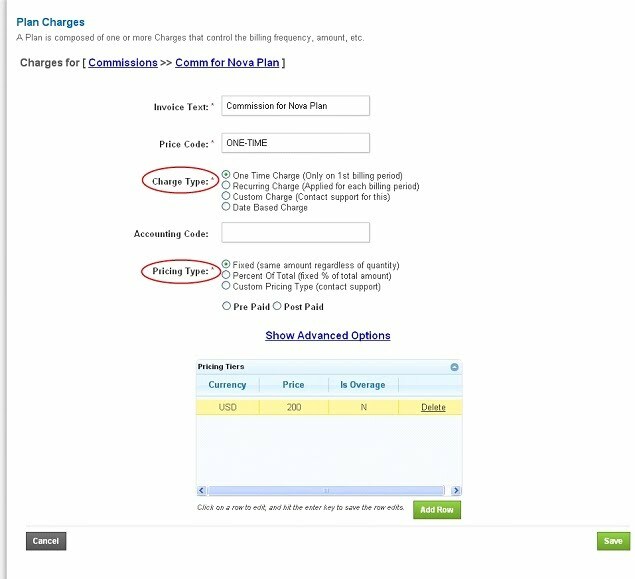 From the Plans and Products page, select the plan and then click on the Create a Charge tab. In the Edit Charge screen you will be able to define the Commission whether it is a one time charge or recurring, if it is a fixed amount or percent based. If you would like to do a custom commission charge please contact support. 4.The final step is to create Sales Agents that the commissions need to be associated with. From the Customers tab, select Sales Agents/Affiliates tab and in the window that opens up click on the Create a New Sales Agent tab. 5. In the create a Sales Agent page that opens up (fig.3),the 2 important items to take into consideration are the Commission Plan Name and The Commission Plan Code. This is what will tie the Commission to the Sales Agent. 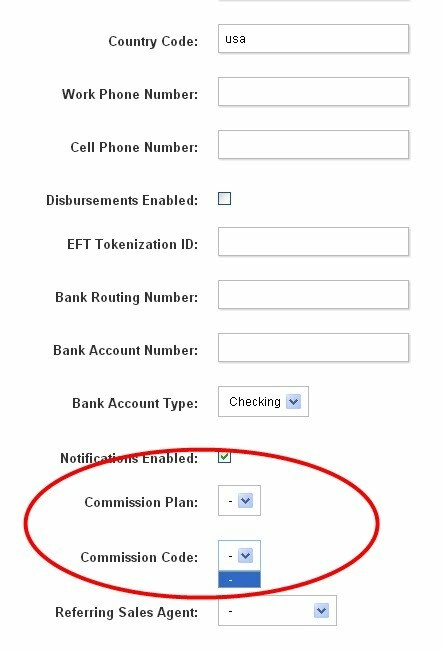 If the Commission applies to multiple plans, then the Commission Code is selected else choose the Commission Plan from the drop down menu and Save.